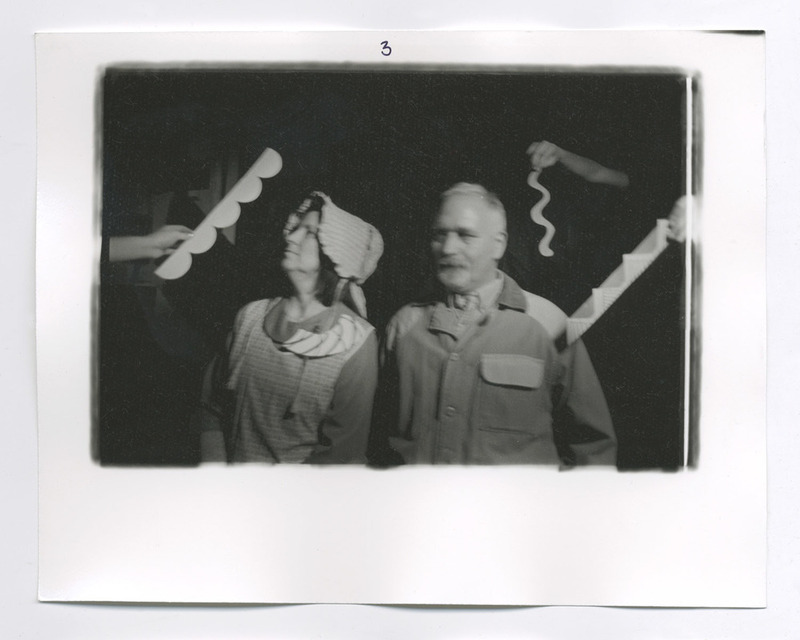 Last month I visited The Carnegie Museum of Art in Pittsburgh to see the exhibit for Duane Michals, which highly inspired me to work on a fun little project of his style. Michals was actually born and raised in McKeesport, Pennsylvania in 1932, which is not too far from Pittsburgh. He is known for his ‘frame-by-frame’ sequences, multiple exposures, and handwritten text on the print itself that he originally was criticized for. 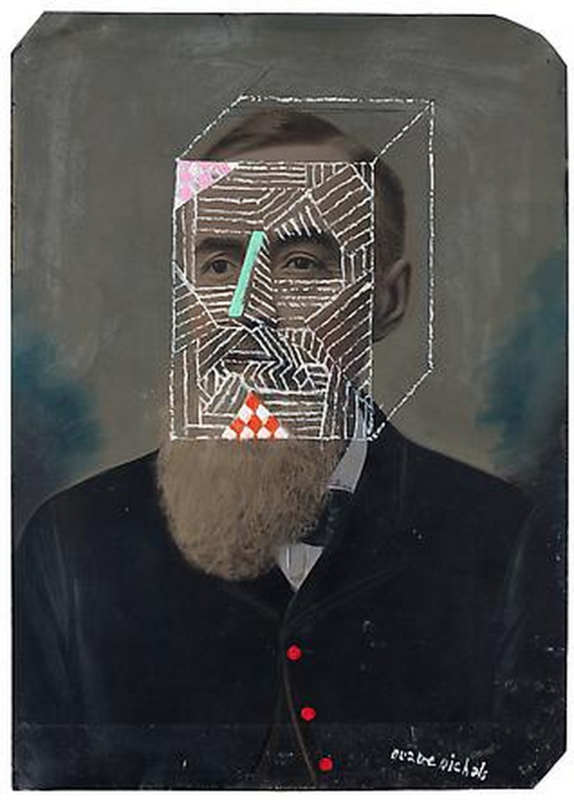 However, in my opinion, Michals' work is witty and playful in a relatively simplistic way. His film sequences and portraits are shot on black and white film and he often includes blurred motion to show the movement or action of the subject. He has used family members as the main character in his sequences and has done many personal projects that run along the themes of family, dreams, and death with a lighthearted approach. 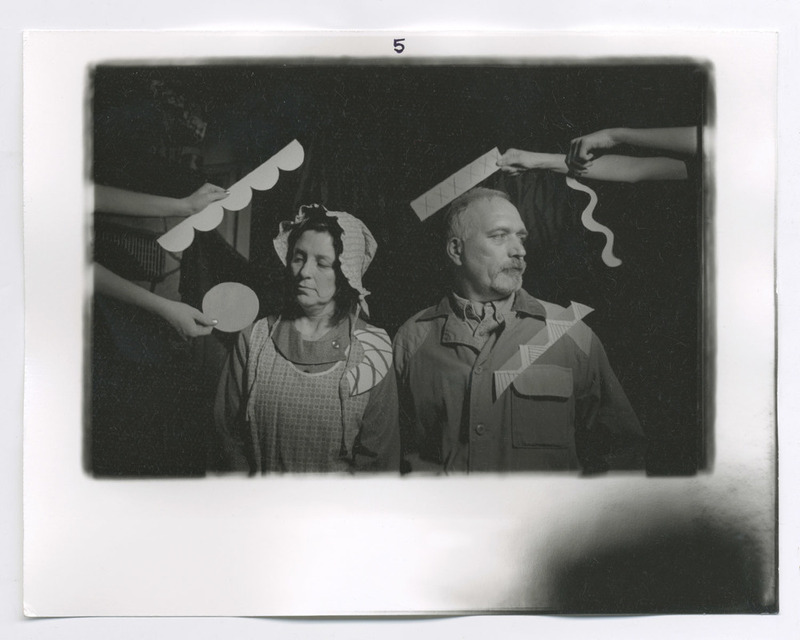 Another project that Duane Michals has presented are oil paintings on 19th century collodion prints. For each image, he alters the subjects’ features with vibrant oil paint, drawing from principals of early photography, modern painting, and Surrealism. Each image is rejuvenated with allusions to both Picasso and Picabia. The amazing thing that Michals draws our attention to in this series is the difference between the tintype and artists of the 20th century, and unites them as one art piece. He names some of his subjects as if he knew them, and gives meaning and life to their left behind portraits, which I find interesting as well. For my project, I drew inspiration from a combination of Duane Michals' sequence work, oil paintings, and shooting with black and white film. Replicating Michals' style in shooting, I shot my sequence on black and white film, while capturing motion and playful expressions. From his work with oil painting on tintypes, I chose Fred and Ginger, 2012 as my photo of reference to base my shoot off of. 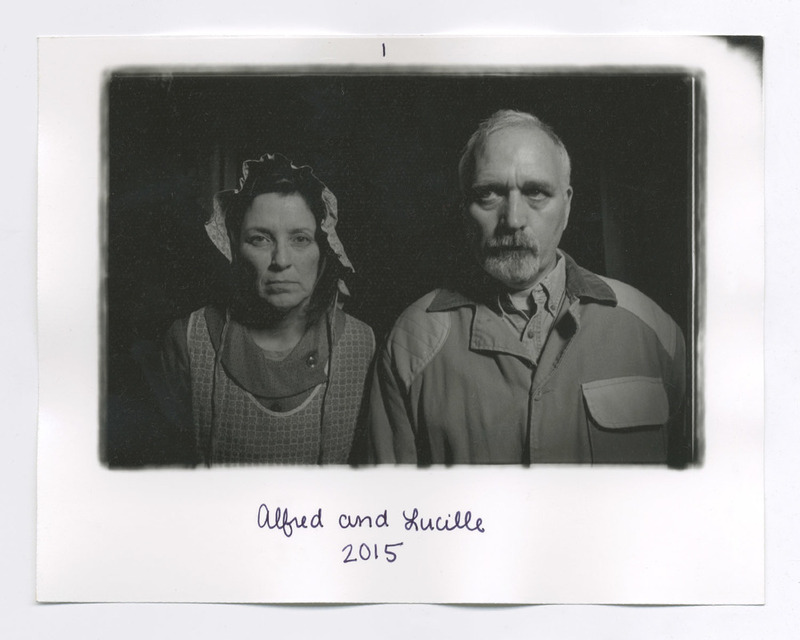 I photographed my parents (as a side note- thank God for parents that put up with and support my artistic ways) as the characters of Alfred and Lucille as Michals' would depict his family members as characters and name those in his oil paintings. As Michals' would embrace the flaws of his photos as he wrote on them, I did the same with mine, having light leaked paper and bent corners. The final image is painted with acrylic and I applied glitter to add texture, all to mimic the character of Michals' oil paintings. 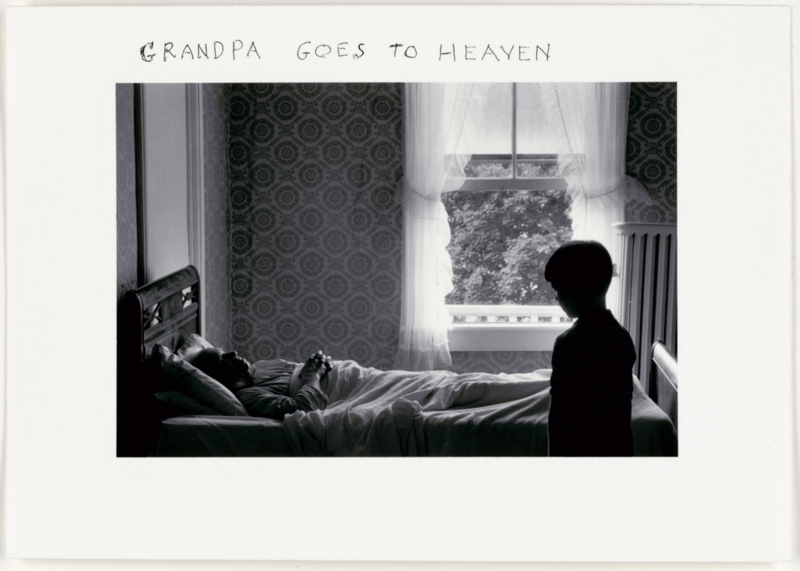 Sequence entitled Grandpa Goes To Heaven, 1989 by Duane Michals. 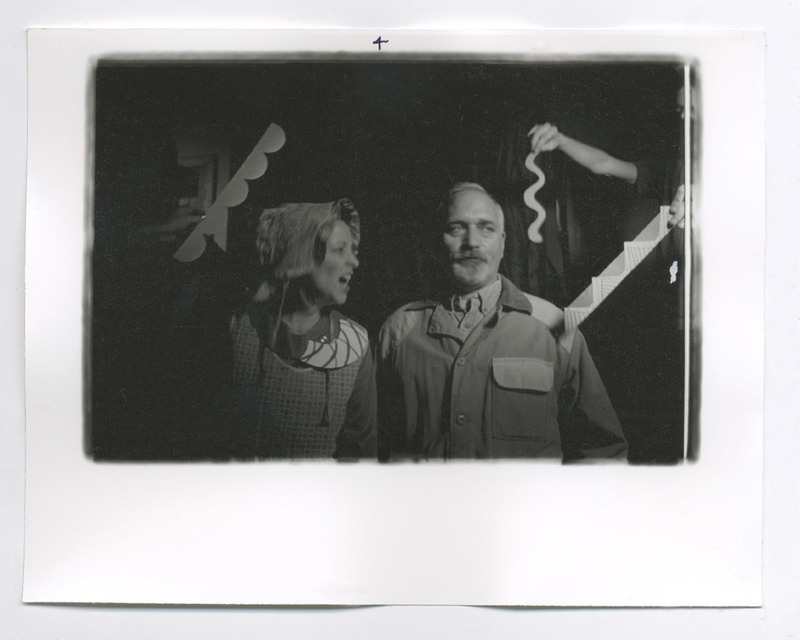 Images shared from The Carnegie Museum of Art's exhibition "Storyteller: The Photographs of Duane Michals". 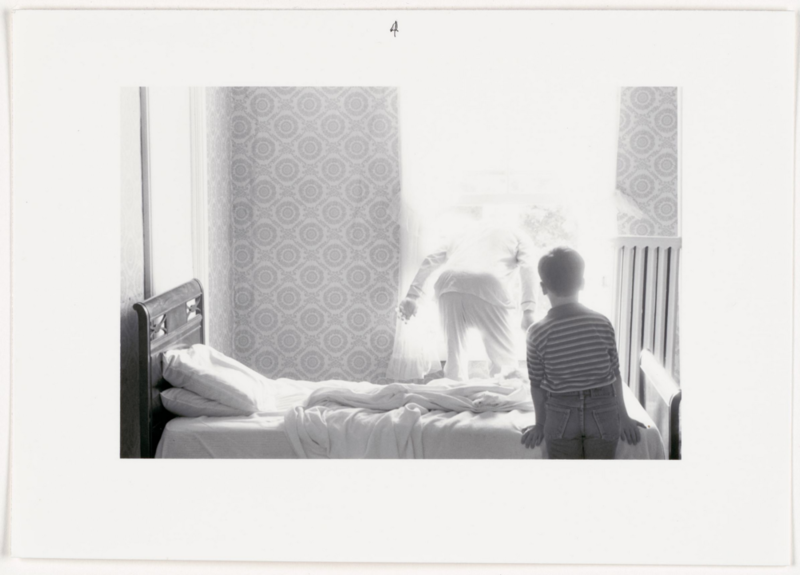 Oil Paintings by Duane Michals. 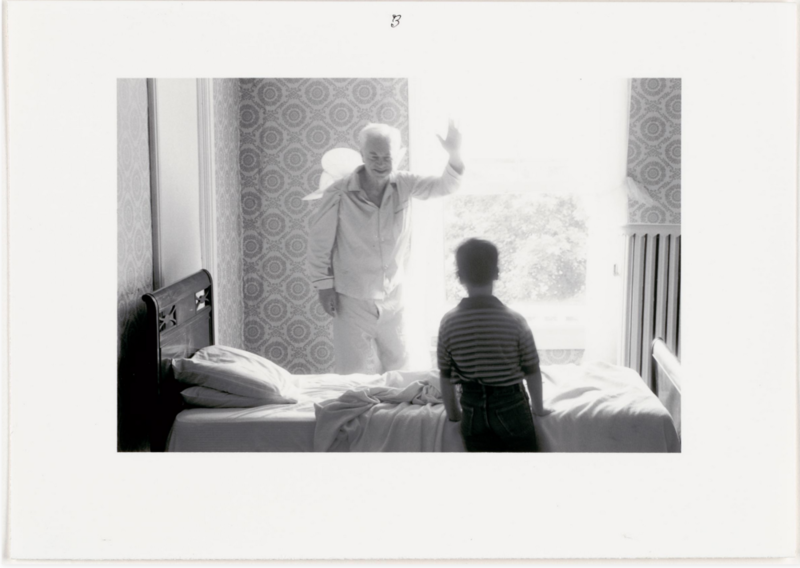 Images shared from DC Moore Gallery exhibition "Duane Michals: The Painted Photograph".